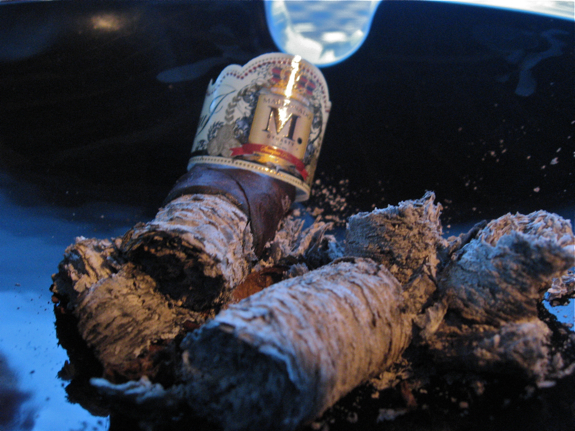 Today we have a very special and exclusive review of the first production cigar from the Maldonado Dynasty. 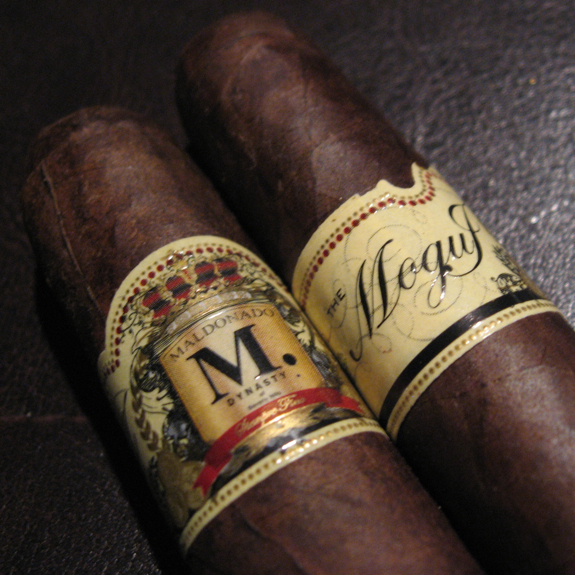 I was recently lucky enough to be sent samples of this cigar, dubbed “The Mogul” from Paul Maldonado. After some chatting on Twitter with Paul I discovered he lived in Canada for awhile so we instantly had a connection and began discussing everything from cigars to Tim Horton’s coffee to poutine! He is a very kind and good hearted person and I was thrilled when he told me I would be receiving samples for this cigar. Paul has a real passion for this company and this cigar and you can instantly tell just by talking with him. Please feel free to drop him a line on twitter @MaldonadoDynsty or visit their website at www.MaldonadoDynasty.com. 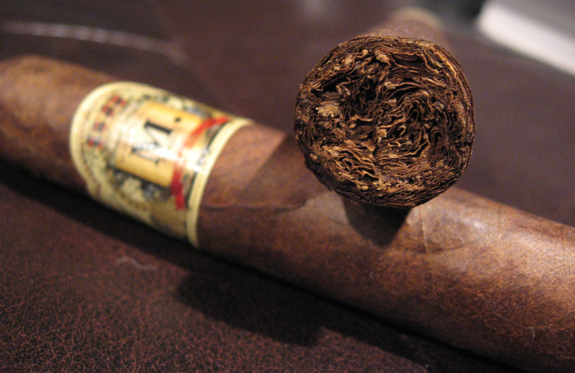 We invite you to pick a box up and experience this handcrafted premium cigar for yourself. Also wanting you to to be comfortable in reaching out to us and sharing your comments and questions. 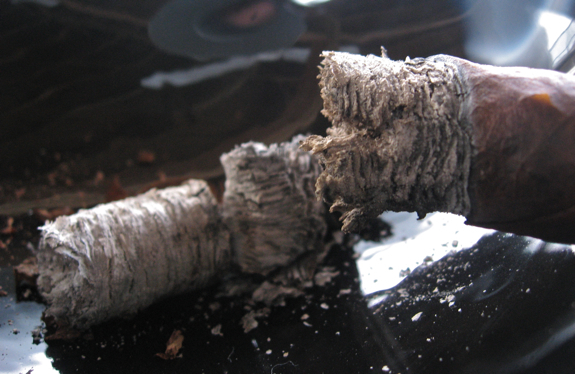 After all, we work diligently to make our premium cigars for you, to bring you only the finest. We like to think we create extraordinary moments in time, moments you share with the special people in your life, worthy of The Maldonado Dynasty. “The Mogul,” is slated for release in late 2010. Paul and his team have also been busy launching various “Black and White Jazz Affair” events across the country and they plan to continue that in the new year. Double check their website for dates near you! If the pictures and stories I’ve heard are any indication it has been a great success and lots of fun for everyone. 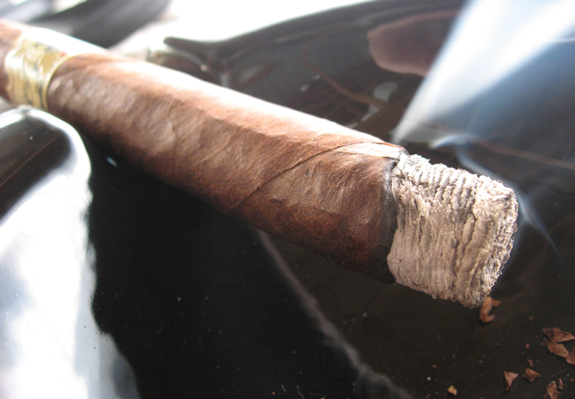 As the press release states, the cigars should be hitting stores near you very soon so keep your eyes peeled. Now I have to admit that I had high expectations for this cigar, please take a read through the review and let’s see if it lives up to name, slogan and expectations! 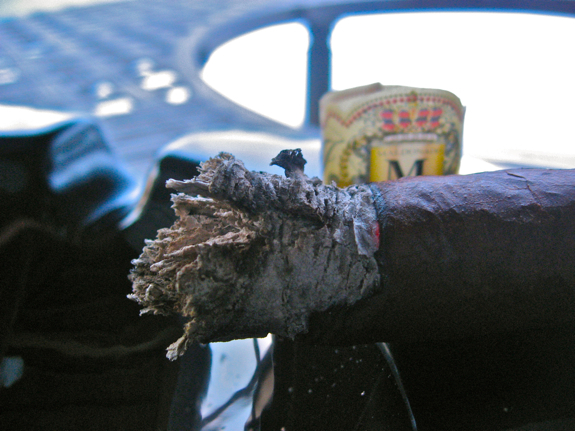 •	Considering the freshness of this cigar and the cold temperatures here the burn was absolutely perfect! 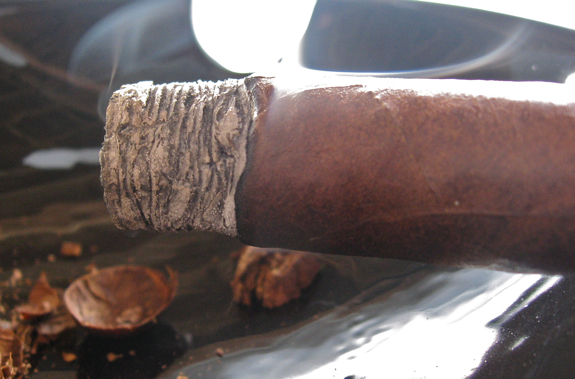 •	The smoke off this cigar is just incredible, an absolute smoke machine! •	Retrohale has also been passing between cedar and dried fruit, still smooth and no bite. 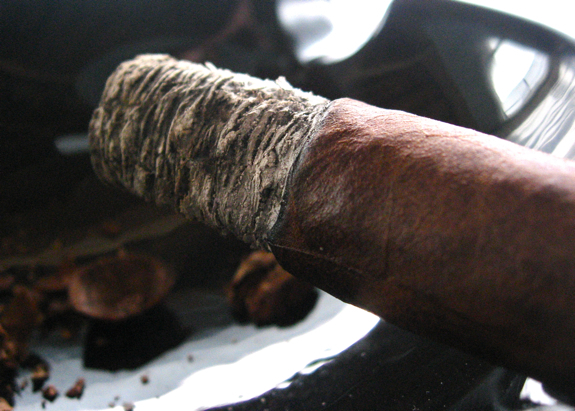 There’s nothing negative that I can say about this cigar, this is what every experience should be like when you sit down with a cigar. It had lots of flavors and dimensions keeping it interesting the whole way through. The burn line was razor sharp right off the bat and never needed a correction or re-light even on this very cold day. Paul had warned me that there might have been burn issues since they were so fresh from the factory but I didn’t experience any at all. The smoke was astonishing and the ash was just perfect. A great experience all around and a definite must-try cigar with unique flavors and superb construction. The slogan for this brand is to “Always Demand the Finest” and rest assured, they live up to that! At the recommendation of Paul Maldonado I paired this cigar with a Cognac. My choice of cognac today was the Remy Martin XO Special. 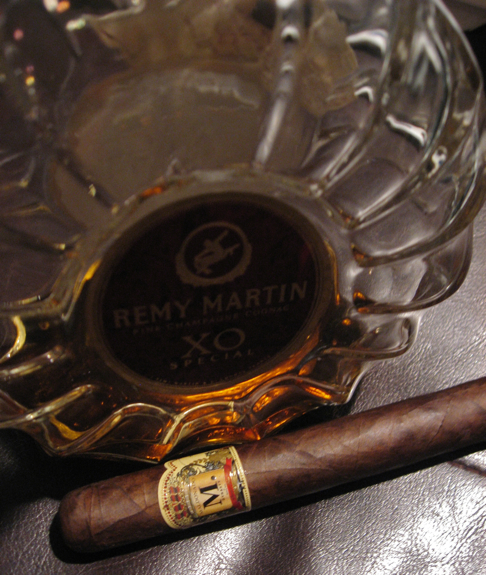 I’m not a big cognac drinker but I do enjoy a glass occasionally and often with a cigar. Just as Paul had suggested, this made for an excellent pairing. The cognac itself was smooth and balanced and offered delicate floral notes and some raw cinnamon sweetness with a delicious finish. 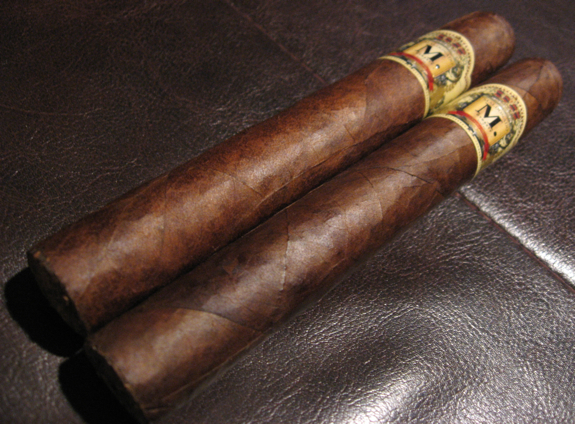 The floral notes seemed to go perfectly with the dried fruit flavors of the cigar. The subtle cinnamon sweetness was a perfect compliment to the cocoa and coffee notes. With both the cigar and pairing offering a fantastic finish this was an excellent match. I believe this cigar would also pair excellently with a finely aged scotch or some aged Port, both of which are favorites of mine. As for non-alcoholic choices, I’d stick with a smooth and bold coffee. 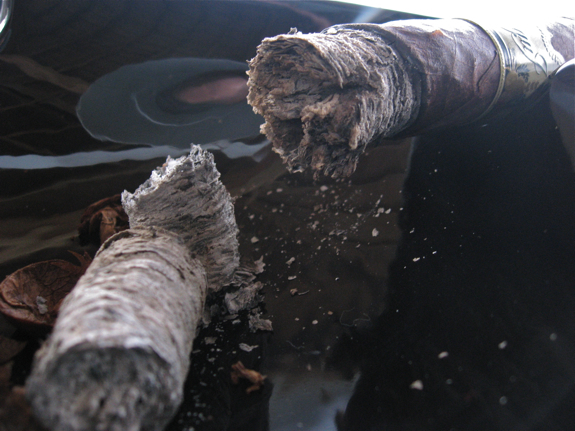 Water could even be a good choice to allow you to fully enjoy the flavors of the cigar. Thanks for the comment Mike. I’m glad to say I was pleasantly surprised by this cigar and I look forward to finding more soon. Can’t wait to see how age treats them as well. Daniel, thanks for the great review. Can’t wait to try these babies. The last picture is very nice. Daniel, I finally lit up the one that Tony sent me a little while ago, and I am impressed! Smooth and full flavored with great construction and burn. I’m pairing it with port right now, but will probably switch over to some Four Roses Small Batch bourbon soon. Spot on review, and kudos to Paul for putting out a great smoke. Pretty cool looking band too. Awesome to hear jjo! These really are great sticks and like you said, Paul’s done a good job with them. He’s got samplers and boxes for sale on the Maldonado Dynasty website. I think there’s even a Christmas special on now with free shipping. Love the Port pairing! Looks like I’m creating another convert? haha Cheers brother!